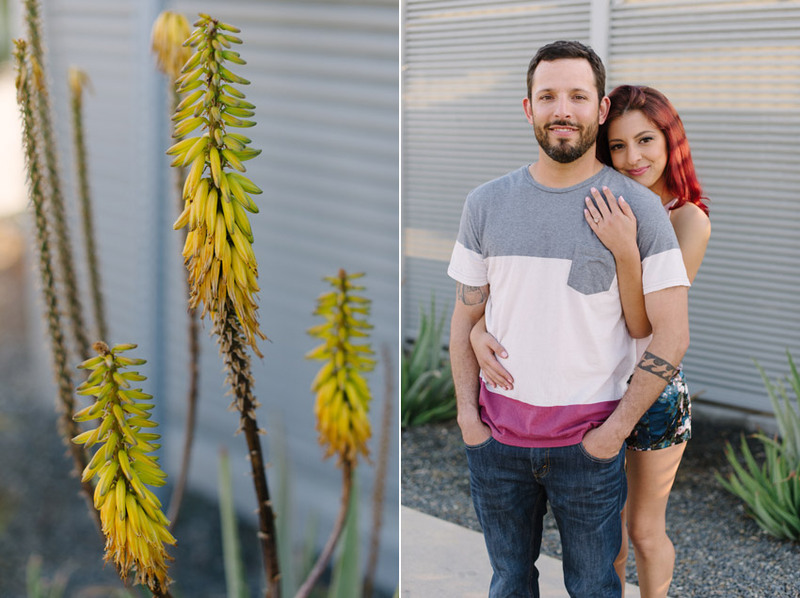 We met Robby + Chantel at Seaside Flowers in downtown Oceanside, Ca. This adorable flower shop is located in "Artist Alley", once a thriving mecca for artists, has since been deserted. One by one, local artists are moving in while activists put forth efforts to bring "Artist Alley" back to life. 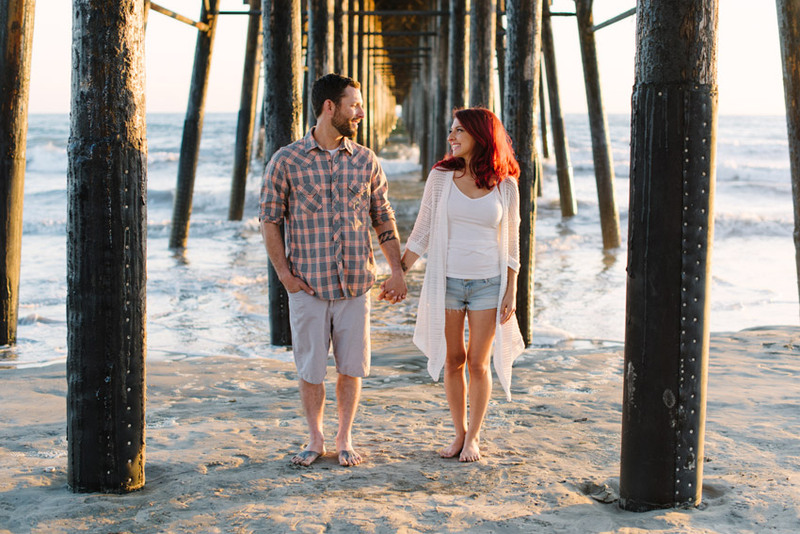 The open alley and colorfully painted buildings were perfect for our engagement sessions with these two! For our second look we headed over to an area near the Oceanside Harbor. I loved the wardrobe color palette and the pops of yellow from the landscape. Despite some parking issues and minor heckling from some local fisherman, it was totally worth it! Robby + Chantel met through a mutual friend 5 years ago. 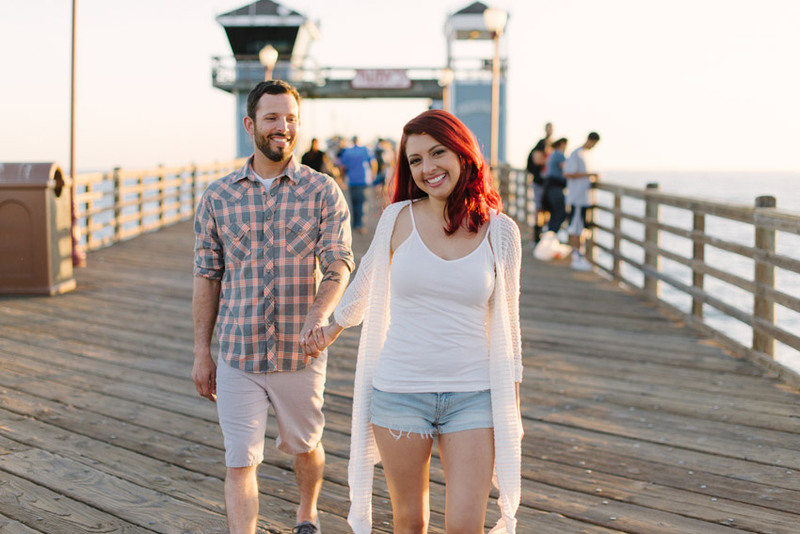 Their first date included a movie and a walk on the Oceanside Pier so we took it back to where it all began. 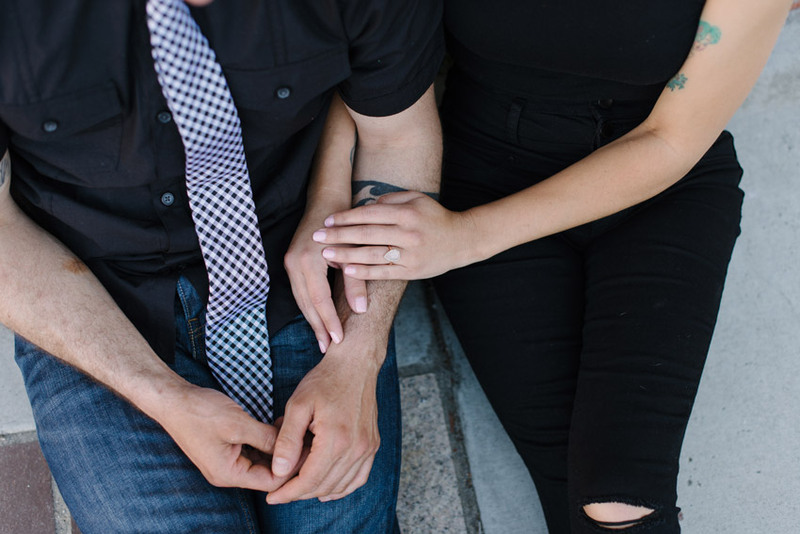 One of our favorite things to do is ask couples about the proposal. It was Robby's birthday and both of their families were together. They went to a beach festival, then to a zombie food truck festival! (Robby's birthday is the weekend before Halloween). They were all sitting picnic style on the grass to watch Rob open his presents. Everyone stood up for him to open his last gift (Chantel thought that was totally weird). He reads his card, then passes it to Chantel.. 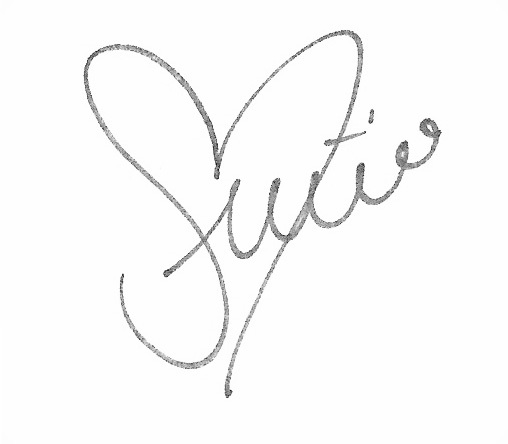 It's really a card for her! She read it a few times, looked up, and he was on one knee! Ahhh...so sweet! We love simple and romantic proposals! Robby + Chantel, thank you for showing me around your hometown, it was awesome to get to know you! 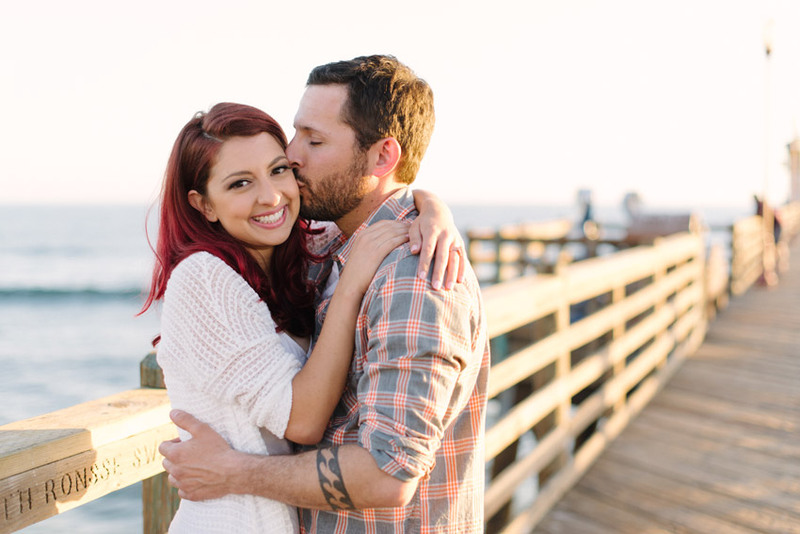 So excited to photograph your wedding in a few months!